8 years ago Matt had just graduated and was getting ready to go off to college at UK and I was beginning my senior year of high school. 8 years ago we had seen each other almost every day in the hallways of the small private christian school that we both went to. And 8 years ago we had known of each other for almost 8 years! 8 years ago I was just a 17 year old girl who was completely content being single and was loving every moment of her high school experience just having fun with her friends, enjoying her youth and excited for the summer and her senior year with big dreams of the future, of freedom and going off UK for college. 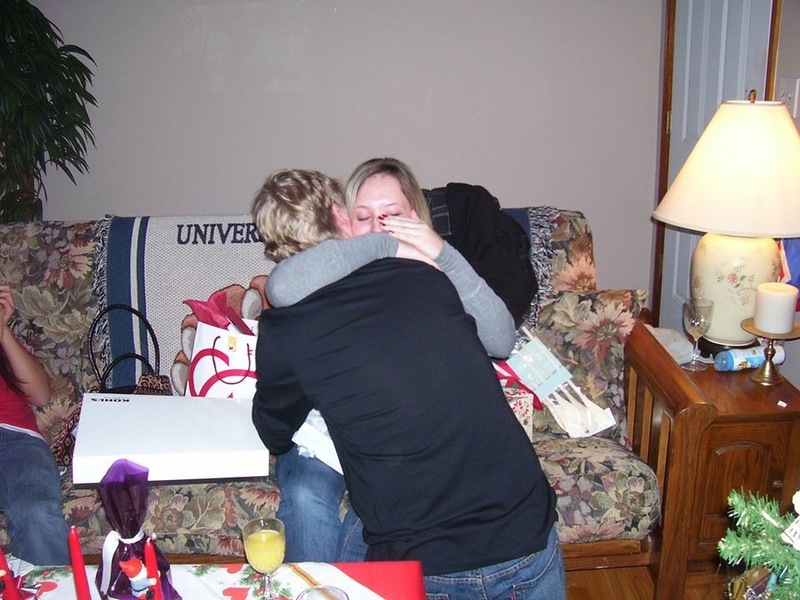 Christmas Day 2010 – the day we get engaged. 8 years ago I was singing at Matt’s Senior Dinner Banquet with the select choir group I was apart of in high school, called Sounds of Praise. And 8 years ago if I wasn’t apart of that group, performing as the free entertainment, I would not have been at that function that night, since I was an underclassmen, and it was a special dinner meant for the graduating seniors, and their families, to celebrate their accomplishments. One of our pictures taken during our 7 month engagement. It was such a sweet time. I just remember both of barely being able to contain our joy, excitement and anticipation to finally be married and start our life and family together. 8 years ago I had no idea my life was getting ready to take a huge turn in the course God had laid out for me. 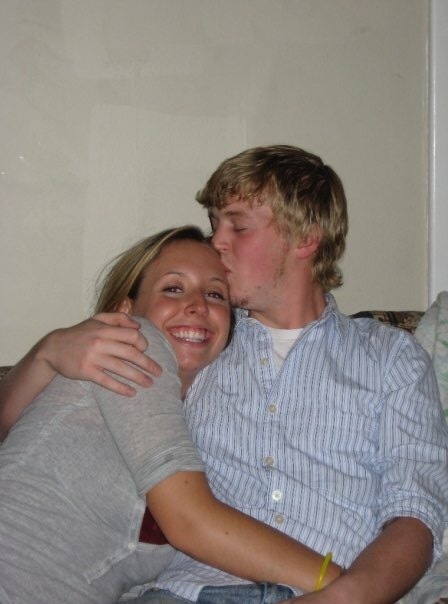 8 years ago I had no idea I was about to truly meet my future husband, best friend and life partner that night. The best day ever, our wedding day! Friday, August 19, 2011! 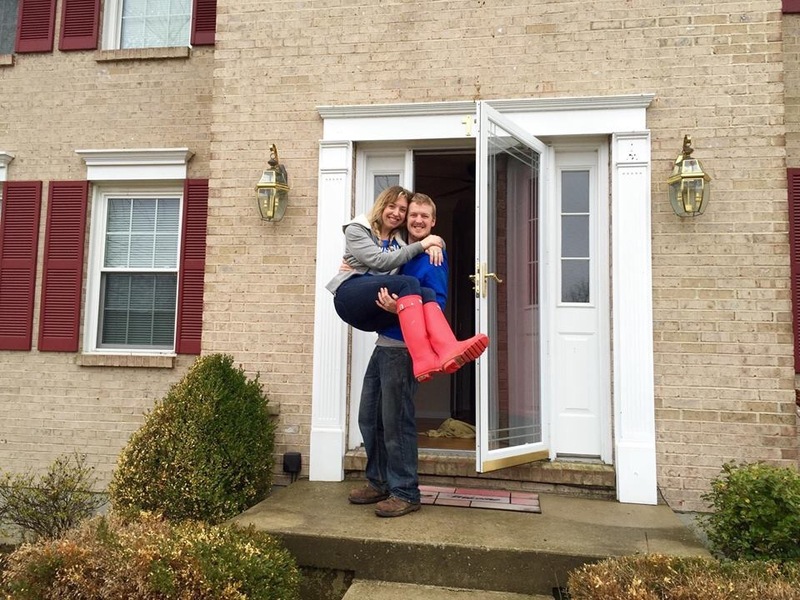 Being carried over the threshold for the first time ever into our first home together in Lexington, KY. But 8 years ago I didn’t have his number in my phone, and therefore didn’t know who I was talking too. lol So, I thanked the mystery person for the compliment and then asked who they were. And 8 years ago I got an answer to my question and found out it was Matt Pomeroy, the cute, mysterious, upperclassmen with the kind eyes and an ornery grin that always made me wonder what he was up to, and secretly want to come along for the ride because I knew whatever it was it would be a fun adventure! Halloween 2013. 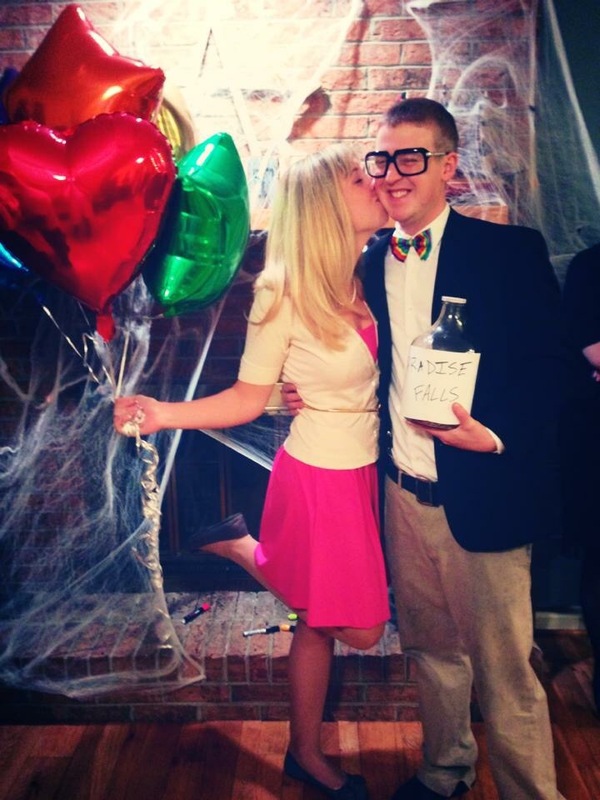 We went as Carl and Ellie from the movie UP! 8 years ago as soon as the dinner was finished he came over and talked to me. And 8 years ago we had our first real conversation that flowed so smoothly it felt like we had been close friends for years. 8 years ago we left that church banquet hall that night and he immediately called me on the way home to continue that same conversation. 8 years ago we stayed up for the first time, of many, all night long talking about anything and everything. And 8 years ago I was amazed at how much we shared and had in common, and how comfortable and easy it was to be myself with him. Now I look back and am amazed at how Gods hand was working in our lives to bring us together at that moment. 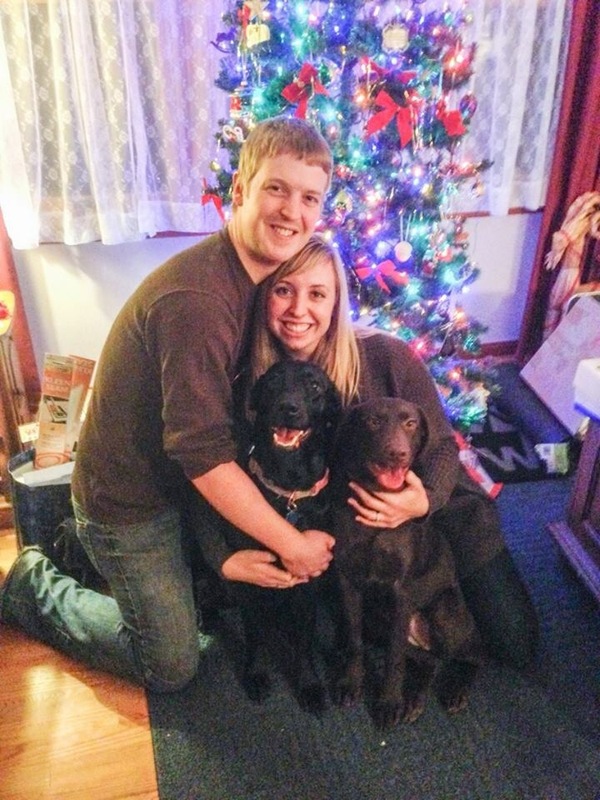 With our little fur babies on Christmas Day 2013, Kirby-girl and Dixie-chick. 8 years ago we became inseparable after that night spending every day that summer together with each other and our friends. And 8 years ago, even though we were young, we both knew God had brought us into each others lives for a very special life long purpose. 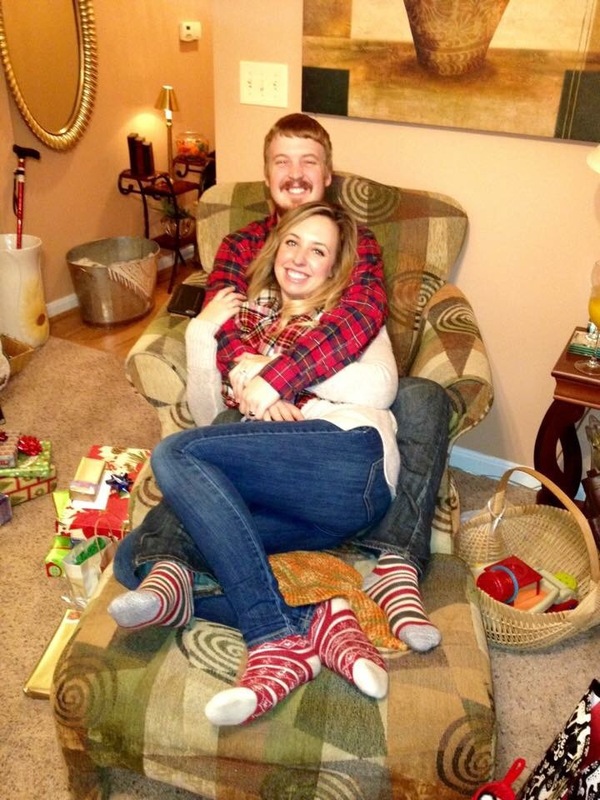 At our families annual Christmas Eve party 2013. And now we know that purpose. Now we see God using us and our marriage in our lives and the lives around us as a platform of His love, grace, forgiveness, redemption and acceptance each and everyday. It’s amazing how much life can unfold in the course of 8 years. How in a moment God’s plan for your life can unfold before your eyes and you not even realize whats happening till it takes place. And how after that life changing occurence you can never go back and never want to go back to what life was like before hand. Before God took you around the bend of your life road map and you turned the corner on your life road trip. 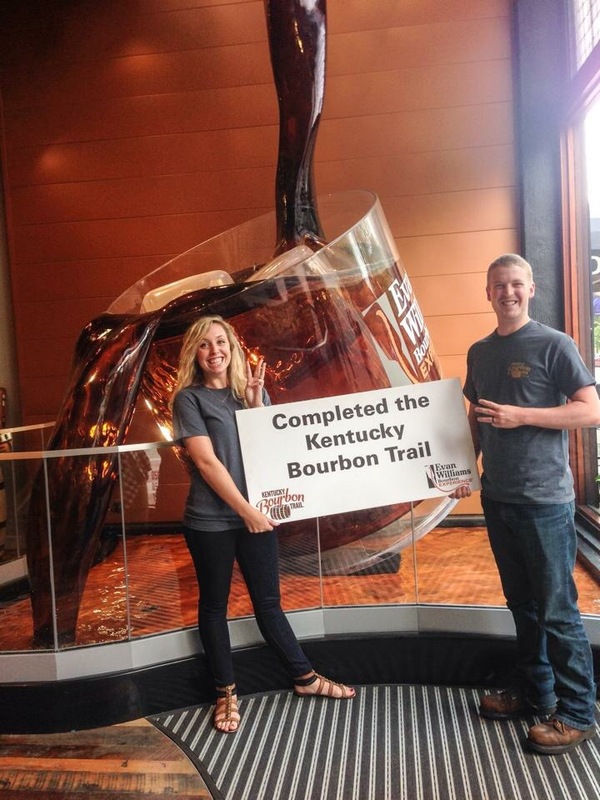 Crossing off The Bourbon Trail off our bucket list! In the last 8 years I have watched God shape and transform both Matt and myself to become more like Jesus through using our relationship as a tool in our lives. Even though we still have a long ways to go I’ve watched as God has purified us both like gold. Taking us from a hardened state and gently melting us both down to bring the impurities to the top. And then in His goodness, lovingly and mercifully scraping them off to mold us and perfect us into the perfect image of His Son. I know without a shadow of a doubt that no other person in my life could have possibly been used by God to accomplish the things that Matt has been used to accomplish in my life through out the past 8 years. I know I would not be the person I am today if God had chosen to use any other person, or any other relationship, besides Matt. I am a better, more vivid, more real version of my true self that God created me to be because of the love and acceptance God has shown me through my husband than I ever would have been without him in my life…. And for that I am so thankful to have spent the last 8 years of my life with him and wouldn’t have it any other way. I am thankful we met and married young. 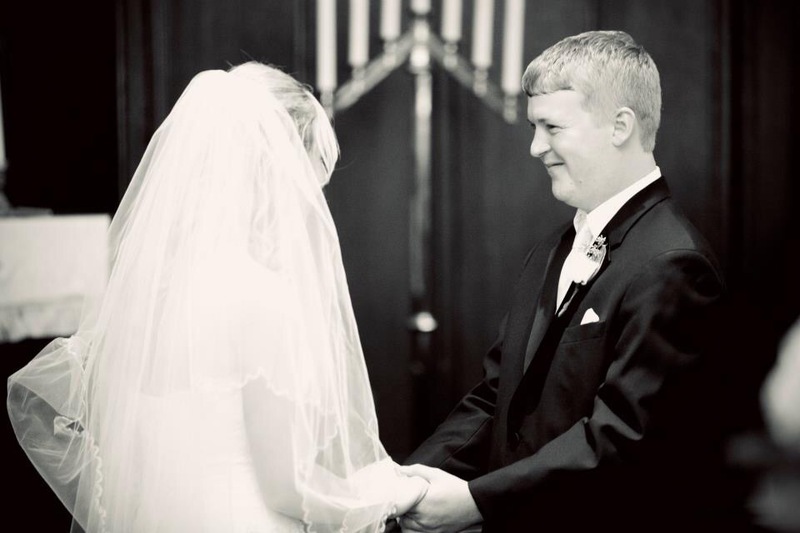 I am thankful that God saw fit to unite us together in marriage and as a family for His kingdom purposes. I am thankful that He knew, and knows, that what we can accomplish together for His glory is far greater than what we could have ever done separately. I am thankful for the perseverance and independence it took for us to start our lives and family together when most people were just starting to figure out their career path. I am thankful for the struggles we have had to face and have overcome and the fruit they have bared, and are still baring, in our lives because of it. 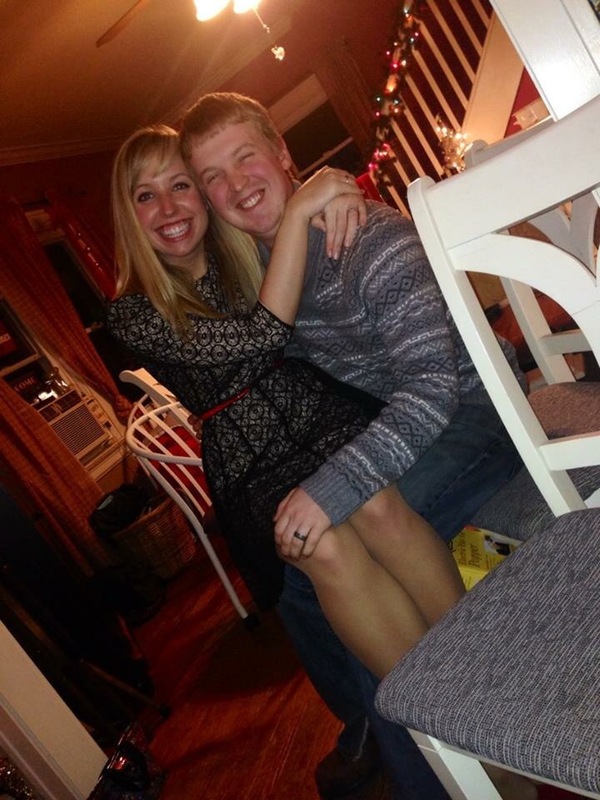 I am thankful Matt is the one who God placed by my side to be my protector, my provider, my pursuer, and my leader. I am thankful that I am the one God placed by his side to be his supporter, his encourager, his counselor and his helper. And If I had to I would do the last 8 years all over again in a heart beat. Without even one thought, pause or doubt I would choose, and keep choosing, Matt all over again 8 years later. But I guess that’s what the essence of marriage is, the consistent choice to keep choosing that one person, above and over all others, no matter the circumstances, on a daily basis. I know the road map of life is filled with many twists and turns and unexpected surprises but I gladly anticipate facing them all with you Matt and meeting each challenge as it arrives to come out the other side stronger, better and more like Christ together. Right after we became home owners! Thank you for pursuing me and finding me beautiful then and for continuing to pursue me and find me beautiful now. Thank you for giving me these incredible 8 years and for giving me the honor to be the woman who is proud to stand by your side for the rest of her life as your wife. Being carried over the threshold for the last time. We’ve been filling that house with love and turning it into a home every day since.